What are the General Machines4u Listing Rules? What are the rules around duplicate listings? What are Machines4u's copyright policies? What are the rules around User Images? When you are viewing an ad, you can contact sellers using the Contact Seller Box on the right side of the ad. 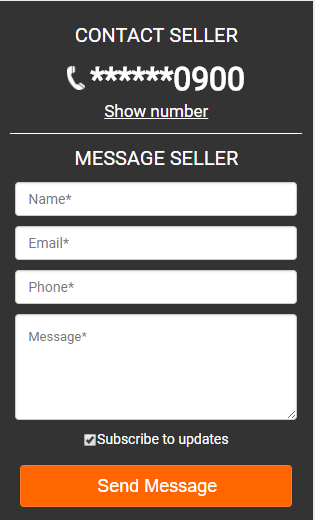 (a) Click the “show number” text in the Contact Seller Box to reveal the seller’s phone number. (b) Send a Message via email using the Message Seller form. Simply enter your question and press the orange Send Message button. Positive Business Policy: We do not accept discrimination on race/religion/ nationality/gender/etc or being dishonest or manipulative in any way. If you are not going to behave in an honest, respectful and positive manner Machines4u reserves the right to restrict, delete or remove your listings or membership to protect our community. Machines4u reserves the right to remove any listing that we feel is not relevant, or of value to our users or community at large, with or without notice to the listing poster. The listing breaches the General Machines4u listing policies. Posted under the wrong category, it is the advertiser’s responsibility to choose the most relevant category for listings. Repeated posting to incorrect categories may result in membership suspension. Foreign Language adverts. We only accept ads in English. Ads posted from outside Australia: No overseas ads are accepted, Machines4u is for Australian based buyers and sellers. Inappropriate or irrelevant photo/image or contact details within photos, images or videos. Listing Multiple different items in a single advert. Adverts for multiples of the same item are recommended using the “quantity” field. Differing items must be listed in different individual listings. Misleading or incorrect pricing on listings. Machines4u.com.au is a marketplace, all listings must be for a single specific item or service that can be purchased. A listing that is general in nature about a business or lists a range of products or multiple products for sale separately in a single listing is not accepted. As a rule of thumb, each of your listings should contain a single item or service for purchase. You may wish to add Machines4u to your safe senders list if you have one, or any important email leads or messages from us may end up in your junk folder. In most cases we will email you to let you know if there is an issue with your listings. If you have checked out all the possibilities above and none of them apply to your listing then please contact us and we’ll be happy to help you out. There are no limits on how many listings users can post on Machines4u, however when duplicate listings produce a negative impact on the site or user experience we may ask the advertiser to change their behaviour. In some categories free listing numbers may be limited or require a listing fee. All Listings must be substantially different from each other. Please do not post the same Ad over and over again across categories or locations, they will be removed and it wastes everyones time. If you have multiple of the same item in stock use the “Quantity” option to list how many on a single advert. If you have a range of equipment with only a few minor variances place a single advert featuring the range and minor differences in the description. Placing these adverts individually will cause them to be ignored by search engines as duplicate content as they’re not “Substantially different” and will result in you getting fewer sales leads. If you post in locations where the equipment is not located your listings may be removed. Users deemed to be “spamming” by machines4u may have a limit enforced on their number of listings or be removed from the site entirely. Individuals that creature multiple users to duplicate content will also have enforced limits added or duplicate memberships deleted. These restrictions are in place to stop individuals from “spamming” the site with duplicate content and provide a better experience for all businesses and individuals on Machines4u. Download & Complete the Notice of IP infringement form, complete it and fax it to Machines4u. Complete this form with an authorised signatory to report advertisements which may infringe on your property rights. The information requested in this Form ensures that the person reporting the listing or item are either the rights owner or their officially authorised representative. The information provided also enables Machines4u to correctly identify the listings or content to be removed. Once we have received your correctly completed Notice of IP infringement form, you can simply send any later reports to Machines4u via the e-mail address provided. There are 3 sections images can be uploaded to Machines4u.com.au. Why do I have to log in to contact private sellers? Does Machines4u.com.au stock or sell equipment? I'm looking for a specific item to suit my next project. To protect the privacy and security of the Machines4u community, and combat scammers, you are required to be a registered Machines4u member to contact private sellers. It is free to register an account. Alternatively, you can still contact via the email form on the advert. No. Machines4u.com.au is a marketplace for people and business to buy and sell machinery across Australia. We are not involved in the actual sales process, that is done privately between the buyer and seller directly. Note* Machines4u do not own or handle any of the machinery or equipment advertised within the marketplace. 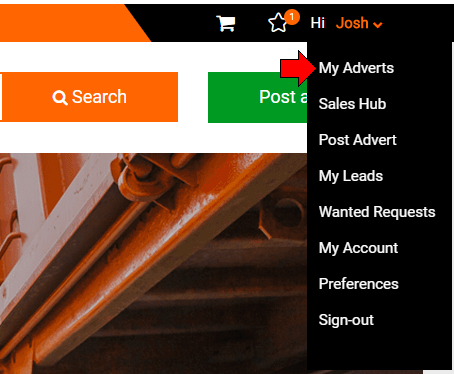 A) Utilise the Search Bar and Filters when browsing the Machines4u marketplace. B) Post a Wanted Ad – Posting a Wanted Ad shows relevant dealers or sellers you are looking for machinery or equipment of a specific type or purpose. Can I upload a company logo or website link to an Ad? How come some ads feature Company Logos? Can I add the same video about my company to all my listings? Step 2) On this page, you can find all your Active Ads. To Edit or Remove an ad simply press the relevant button. You can list up to 10 items for free and upgrade them at any time to increase their exposure to buyers. If you are a commercial dealer and wish to advertise without the limitations of free listings it’s best to upgrade to the benefits of a membership plan. Dealers who are serious about selling are best suited to upgrade to one of our Membership packages. With a Membership, you receive all the extra advertising benefits and upgrades on offer to help your brand dominate the marketplace. Featuring company logos or website links within your ad is not allowed, according to the Machines4u Advertising Rules. Advertisers paying for Gold and Silver Memberships gain the benefit of having their branding on their ad listings. You can learn more about the various benefits Memberships have to offer here. Yes, simply upload the video one time to your Dealer Directory page and it will be accessible from all your listings. It will not take the place of the item video which is a separate feature. Do not attempt to load the same video to each listing, it will just consume your time uploading it and it will be automatically rejected by the video management system. Please ensure you are using a high speed internet connection when uploading videos as slow internet connections often result in problems uploading video. How do I create a Machines4u.com.au Account? What happens if I register using Facebook or Google? What are the Advertising and Listing Rules? Step 1) Click the blue “Forgot Password” link located on the login page. Step 2) Enter the email address you would normally use to log into Machines4u.com.au and click the orange “email me” button. 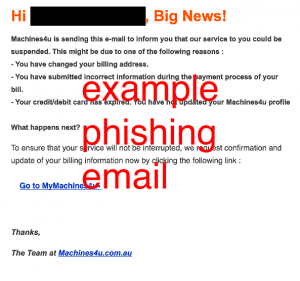 Step 3) Check the email you previously entered for a Password Reset email from Machines4u. If the email is not in your inbox, make sure to check your spam folder. If you don’t get the email please contact our customer service team. Step 4) Click on the Password Reset link in the email. You will be taken to the Setup a New Password screen. Enter a new password (you will be required to do this twice to make sure it is accurate) and click the “Save Password” button. Make sure your password is at least 8 digits long & contains both letters & numbers or the system will not accept it. Step 5) Congrats, your password is now reset and you’re already logged in. Click the Machines4u logo to go straight to the home page. Click this link to create your Machines4u account. Registering an account on Machines4u.com.au is free. 1. Can view advertisers phone number. 2. Can save adverts to you wish to view later using the ‘Save Ad’ feature. 3. The ability to advertise upto 10 items for sale free. 4. Access and updates to Machinery Sales and Giveaways. Using the Facebook or Google options to Register or Sign-In to Machines4u.com.au is simply an alternative method of accessing your account. If you register using Facebook or Google, you don’t need to set up a password for your account and will instead need to use the password associated with said Facebook/Google account and confirm your login. Who Can buy Ad Upgrades & Memberships? Is Credit transferrable between user accounts? What payment options does Machines4u.com.au accept? Ad Upgrades and Memberships are available to any advertiser on the site, however, some types of upgrades are restricted by membership level. Visit the Machines4u Membership page for more information on Memberships. Visit the Machines4u Upgrades page for More information on Ad Upgrades. You can save up to 20% on Ad Upgrades and Packages by using Account Credits. Learn more about Credit here. Credit is Non-transferrable and is only available for use by the original account user. Machines4u.com.au accepts 3 types of payment options for Membership & Products. Hoax messages, also known as scams or phishing, can come in all shapes and sizes. Have you received an email out of the blue asking you to ‘confirm’ your payment details or threatening your account may be suspended? Fraudsters often target major websites with phishing emails in an attempt to harvest your login email and passwords and compromise your accounts and personal information. With advances in technology, there are now internet based sms services which can be disguised to appear as a local phone number of choice. Scammers pose as genuine machinery buyers and send sms enquiries. When the seller responds, the “buyer” claims they are overseas/offshore and needs a 3rd party to pick up the machinery (often incurring fees, which they will ask you to pay which later they will reimburse). This of course never happens. The phone numbers that send the sms can’t be called back and the sender often requests contact only by email. Unless you are able to call the number and speak to the person sending the text message we advise that you disregard these queries and report them to Machines4u immediately. These scams try tricking people into providing personal and sensitive information such as credit card & banking details. They’re usually via fake emails sent from “reputable” sources originating from the target company i.e. your financial institution. The email recipient is asked to click on an included link in the email which will then redirect to an official-looking website that will look almost identical to the real company web page (same logos, images, structure, menus etc). Once on this website the user is prompted to log in using their username and password and/or supply credit card and banking details or other personal information such as phone numbers and address. All this information can then be collected by the scammer and inappropriately used. There many variations of this scam – the most common is asking for personal and account details within the email itself to be emailed back, without redirecting to a website. Another variation is tricking email recipients into installing a Trojan on their computer by opening an email attachment or downloading a file from a website. This then collects information from the infected computer. Scammers rely on the law of averages and send these emails in bulk in the hope of fooling a small number of individuals. If only a small number of people fall for the bogus emails and provide details, the scam can still be a success. Scammers will attempt to post bogus online advertisements posing as genuine sellers. In most cases it will include pictures and other details to make the advert seem legitimate. To make a quick dollar, the scammers may advertise prices well below market value to lure unwitting customers. When a customer enquires, the scammer may claim they are overseas, working on an offshore oil rig, travelling etc and an agent, relative or colleague will deliver the machine after payment. After payment has been made you might receive an official looking email receipt however, the machine will never arrive and contact with the seller will be lost along with your funds. Never accept or make payment through mediums such as PayPal, Western Union or MoneyGram. These are not designed for transactions between complete strangers and are insecure forms of payment when buying machinery. Scammers pretending to be genuine buyers also target sellers online. They claim to want to buy your machines but will make up stories such as needing your help to pay an agent or third party for upfront costs like transportation or insurance. The scammer will promise you reimbursement for these costs, however once you have paid, there is no reimbursement and it is often too late to recover the money and/or contact the ‘buyer’. A common variation of this scam is when the scammer, posing as a genuine buyer, makes a generous offer for the machinery you’re selling. If you accept the offer, the scammer then sends you a cheque, but the cheque is for more money than the agreed sale price. The scammer will invent an excuse for the overpayment, for example to cover the fees of an agent or extra shipping costs – or they might just say that it was a mistake. The scammer will then ask for a refund of the excess amount—usually through an online banking transfer or a wire transfer. The scammer is hoping that you will do this before you discover that their cheque has bounced. You will have lost the money you gave the scammer, and if you have already sent the machine, you will lose it as well. Never accept or make payment through mediums such as PayPal, Western Union or MoneyGram. These are not designed for transaction between complete strangers and are insecure forms of payment when buying machinery. ALWAYS make sure anti-virus software, malware detection software, firewalls and internet browser security settings are up to date.